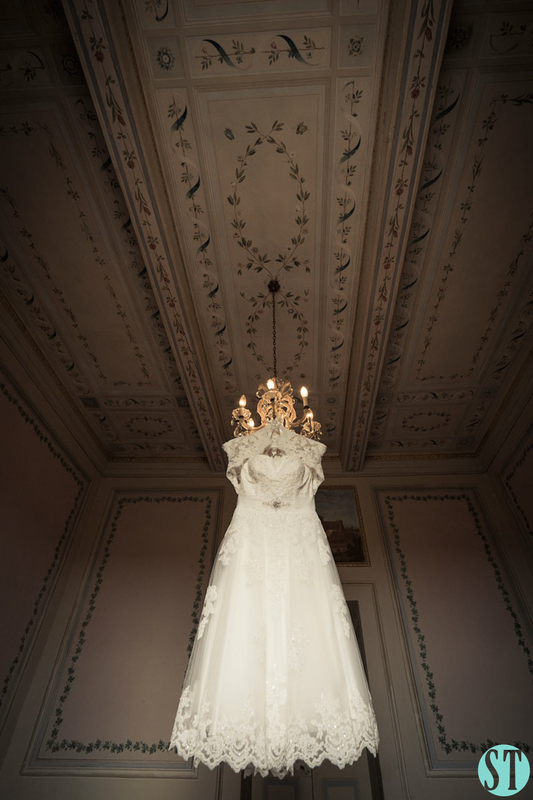 If you are looking for the perfect wedding destination, well you’re in the right place! 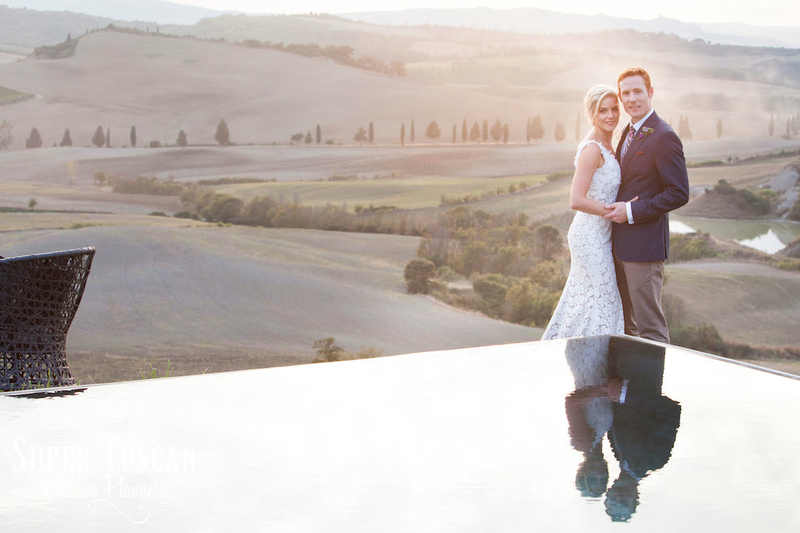 Continue to read to find your bespoke tuscan location and decide where to get married. 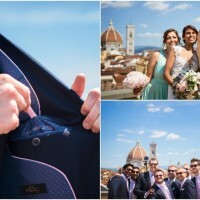 Florence is a wonderful city to celebrate a special wedding in Tuscany. This beautiful Tuscan town is considered the “cradle” of the Renaissance. Every single street and building has its own story to tell and for you to enjoy! In the center of the town, history mixes with modernity. You will find famous brand shops and luxury boutiques that mix perfectly with some of Florence’s most historic buildings. Have you ever seen a fashion museum? Maybe the typical one, but not the Gucci museum that was created to celebrate this famous brand that opened in Florence for the first time in 1921. Also discover other Florentine fashion designers like Salvatore Ferragamo, Cavalli, Emilio Pucci and Prada. Many fashion and high-end stores are in the central Via de’ Tornabuoni (Tornabuoni street): shops like Chanel, Armani and Bulgari are there waiting for you. But above all the beauty of Florence is in its history and art that granted it the ‘World Heritage Site’ recognition by Unesco. Forbes and Condé Nast Traveler magazines recognized Florence as one of the top cities in the world. Renown as the Athens of the Middle Ages, it’s days of splendor began with the Medici who were one of the main and well known families in Florence and Europe during the 15th century. Let’s imagine for a minute a typical day in Florence: are you an Art and history orientated visitor? 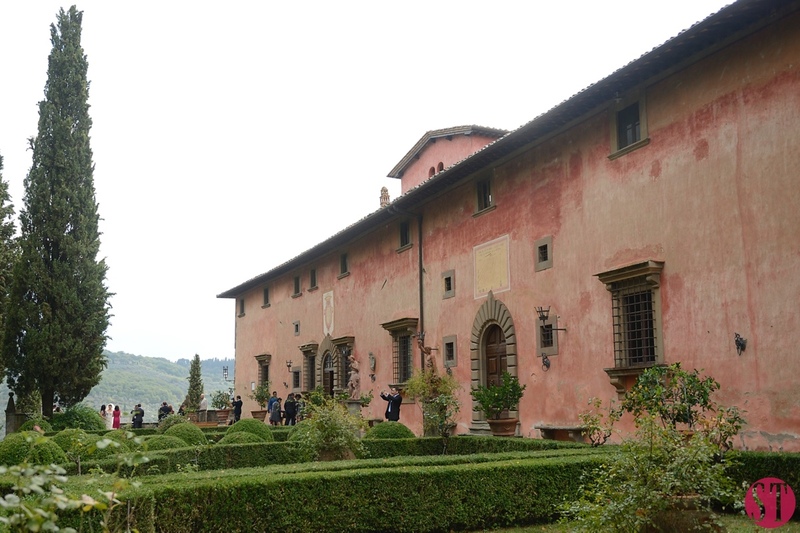 Let’s start from visit museums and galleries such as the Palazzo Pitti and the Uffizi Gallery. 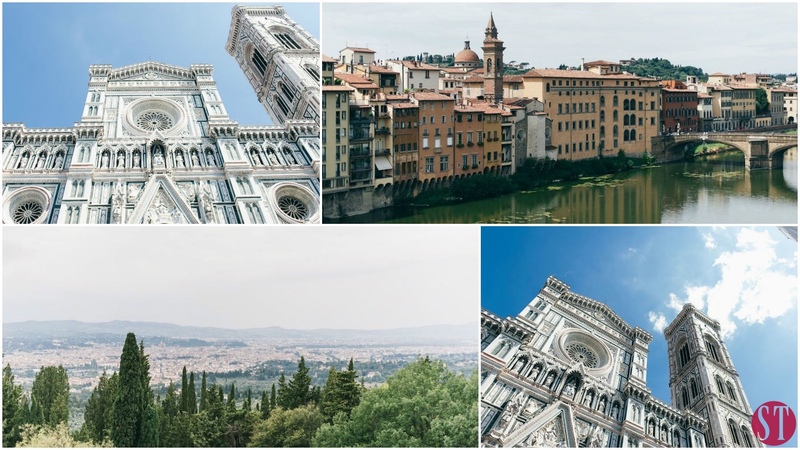 See Santa Maria del Fiore, the domed cathedral, the bell tower and the baptistery. Have a coffee break in one of the intimate and picturesque artisan coffee shops (No Starbucks in Florence!! 🙂 ). Then, discover the Medici chapel in San Lorenzo’s church and the great Giardino dei Boboli (Boboli garden). At night go out and live the city, find suggestive spots and discover the characteristics streets. Take a walk along the famous Ponte Vecchio (Old bridge) in the morning when it becomes one of the most crowded and spots in town. This is a spot where only the oldest jewellers of the city own shops. Continue along the banks of the river Arno, see some of the main squares like the Loggia dei Lanzi (Lanzi portico) and Piazza della Signoria (Signoria quare) where you can view a great copy of Michelangelo’s David. If you want to see the real David, you can visit the Galleria dell’Accademia and enjoy all the beautiful Italian art! Are you a fun, shopping and food orientated person? Start your day in the early morning at the Street Market of San Lorenzo . Here you’ll find all kind of goods, from hand made leather bags to cigars and antiques… but also a lot of cheap and funny things like new generation Selfies sticks, Chinese colorful umbrellas and souvenirs, or second hand books and clothes. It is also the perfect place where to have breakfast and where to buy some fresh vegetables, fish or meat. Locals and tourists love this crowded and characteristic market and we are you’ll do as well. Continue walking through the back streets leading to Ponte Vecchio and don’t miss the Vintage cloths shops and Art Galleries on the way. Don’t forget to look up from time to time… there is always something to discover! Have a break at Aperitif time and enjoy your Italian Style Aperitif with Aperol Spritz or a Prosecco enjoying the sunshine, a good selection of local cheeses and hams and the chatting of the bystanders. Stop then in all the “must” Shops in the main shopping streets around via Tornabuoni… even just to check off it from your “to do list”. Cross the Arno river and enjoy the authentic and more relaxed Oltrarno. It is the Florentine’s favorite part of the town. Lead to Piazza Santo Spirito passing through sunglasses, antiques and design shops on your way. Once in the Piazza… just relax and enjoy the magic atmosphere of the cute corner of Florence. Ask for a glass of red Chianti wine and the famous Florentine steak, ideal for those who love rare meat! Enjoy the evenings and some of that typical Italian madness! 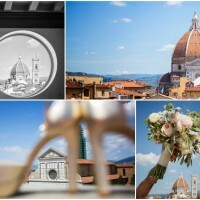 After this free guided tour of usual and unusual Florence, let’s imagine your wedding in Florence. 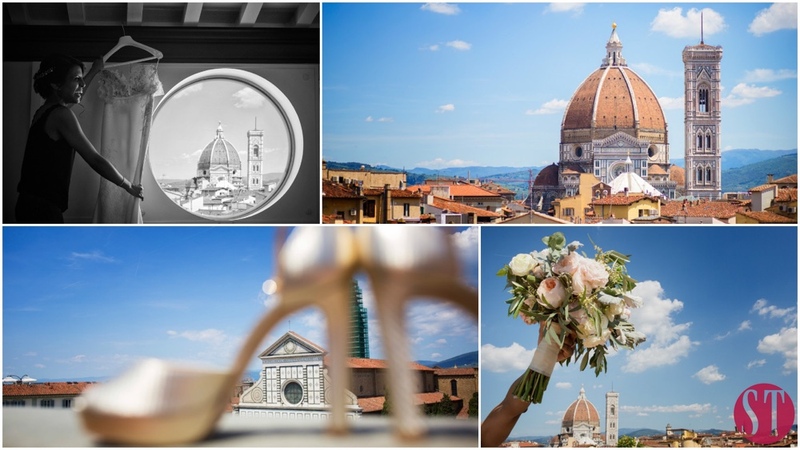 Nothing in the world will be more suggestive and rock than your wedding day in Florence ! Take your time and explore the beautiful town center. 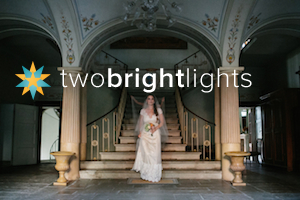 Imagine wandering around this wonderful and entertaining city in your white bridal gown. 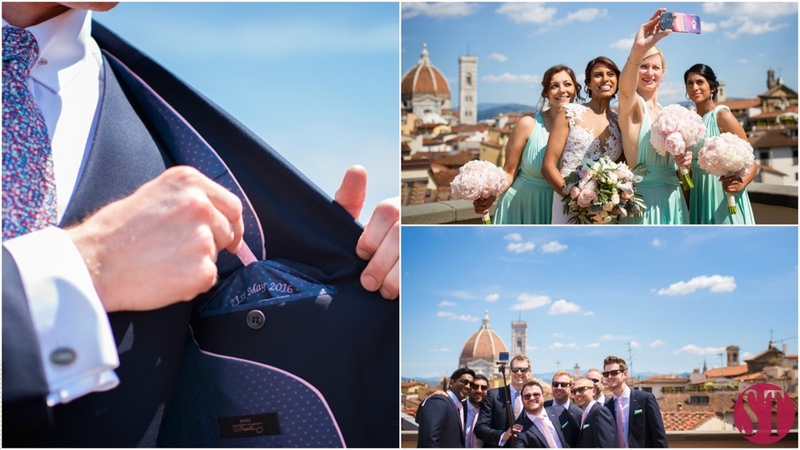 Click here for all information: All about a wedding in Florence. Ask to visit this wonderful town!! Chiantishire is amazing! 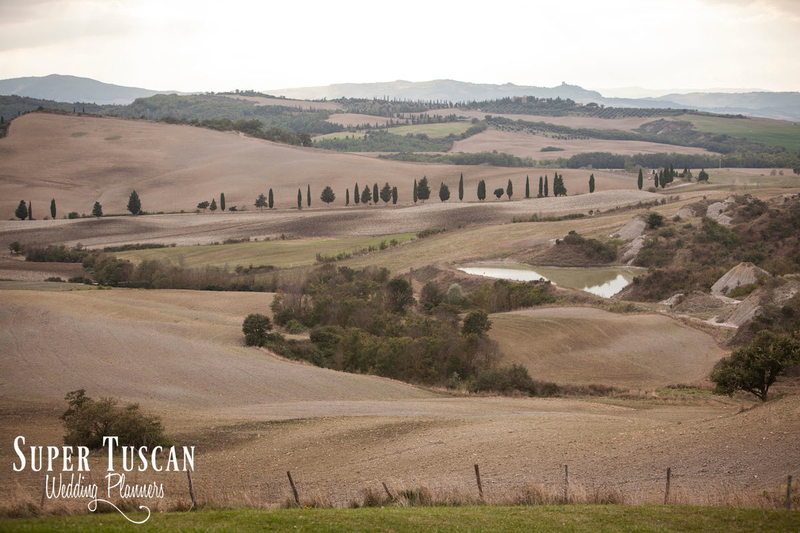 If you’ve ever seen a picture of Tuscany…well, that’s almost definitely Chianti! 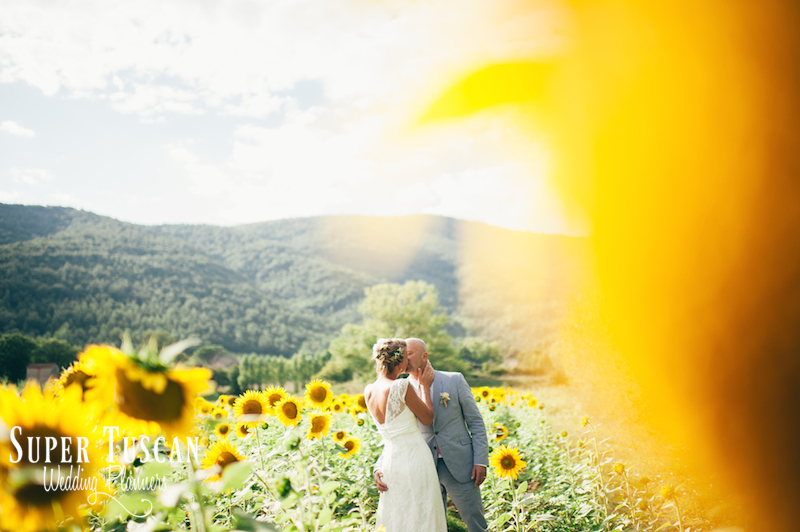 In summer and spring the greens and yellows shine bright under the warm Tuscan sun! Getting lost in this land, you’ll admire amazing views of the countryside, cypress lined roads to infinity and abandoned farmhouses and churches that tell a story to all those looking upon them! 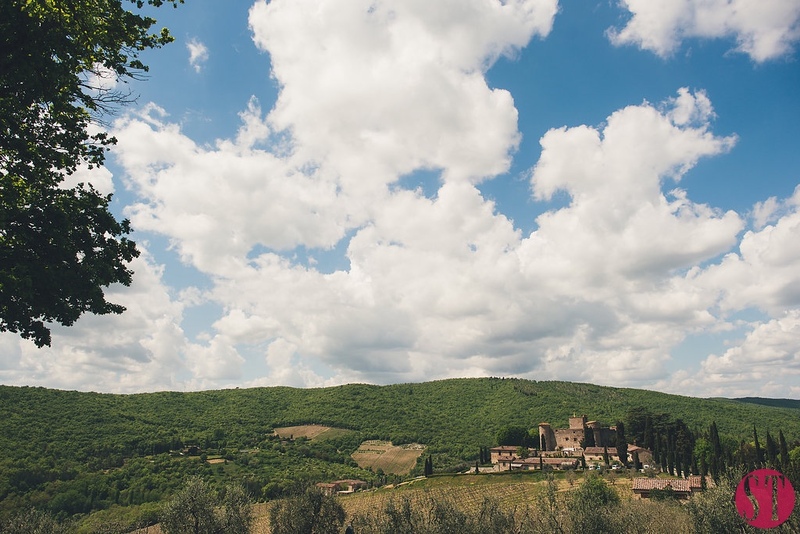 During your journey through Chianti we’ll help you get a sense of the soul of this land with its vineyards set on the gently rolling hills of Tuscany! 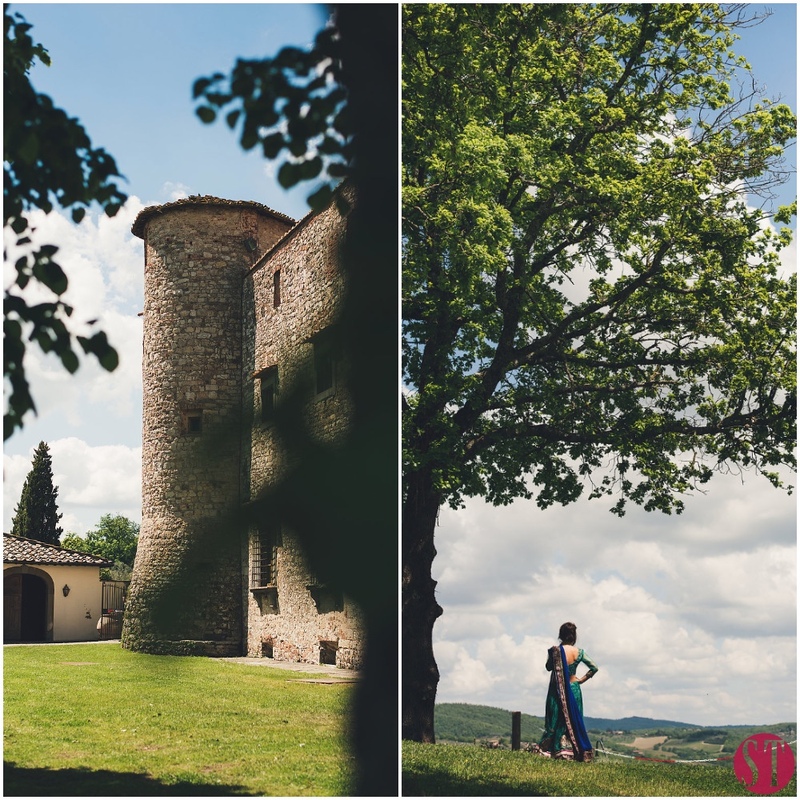 But nature is only a part of this beautiful land… Getting married in Tuscany will lead you to discover medieval hamlets, manor houses and abbeys where your dream could become true! Starting directly south Florence, the Pesa valley offers the ancient towns of San Casciano, Tavernelle and Barberino. South again and you’ll find the towns of the actual Chianti area: Greve, Castellina, Radda and Gaiole. 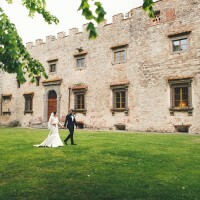 Dream of romantic Tuscan weddings in Chianti.. Choose one of the villages lost amongst the rolling green hills or a luxury suite in the Spatenna or Tornano castle… you won’t regret it! 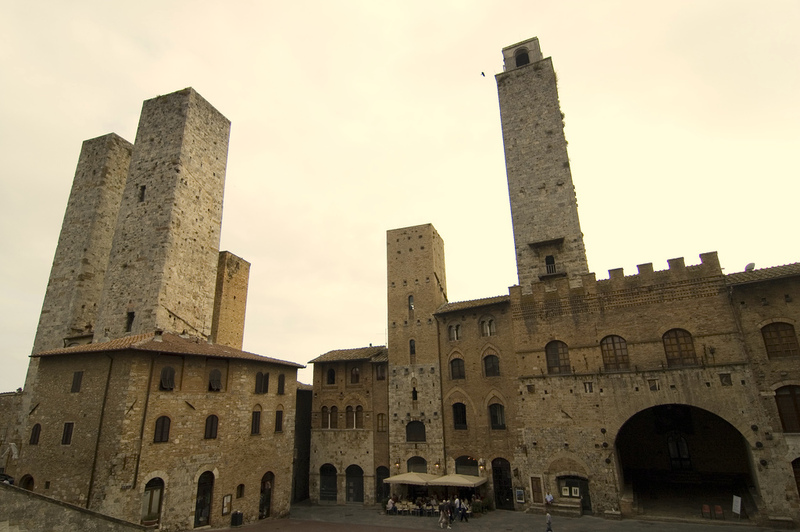 San Gimignano is also situated along the Via Francigena, the road that the pilgrims used to take in medieval times to reach Rome from every part of Europe. The skyline with its 72 tower-houses bares witness of the town’s medieval origins and it still is a beautiful and lively town to visit! Moreover, the area produces the first DOC (Checked and Guaranteed Origin Name) wine ever recognized by the Italian government, the Chianti. The Vernaccia on the other hand, is the only Tuscan white wine that received this DOC recognition, maybe because it was a favourite amongst popes and princes!! The journey through Chiantishire ends in Castelnuovo Berardenga where the landscape begins to turn into the “Crete Senesi” (Siena clays) whose “burned-red” color (the famous red “terre di Siena”) and other rare colors are the main protagonists. 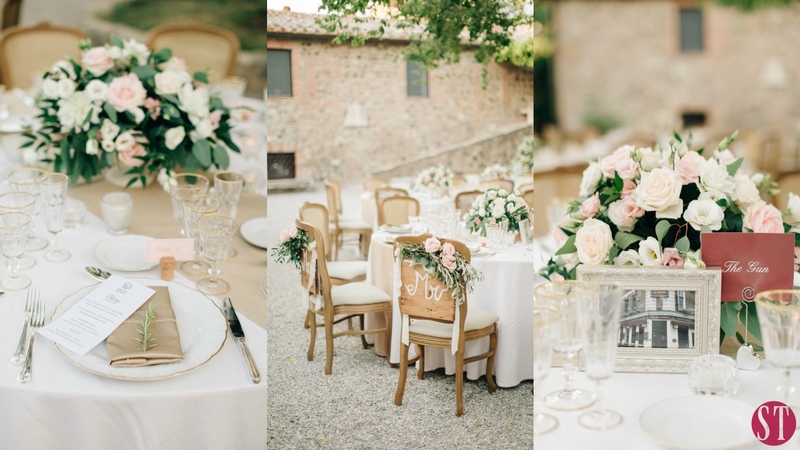 Guaranteed, our dreamy Tuscan Weddings in Chianti are perfectly enriched with this amazing beauty! 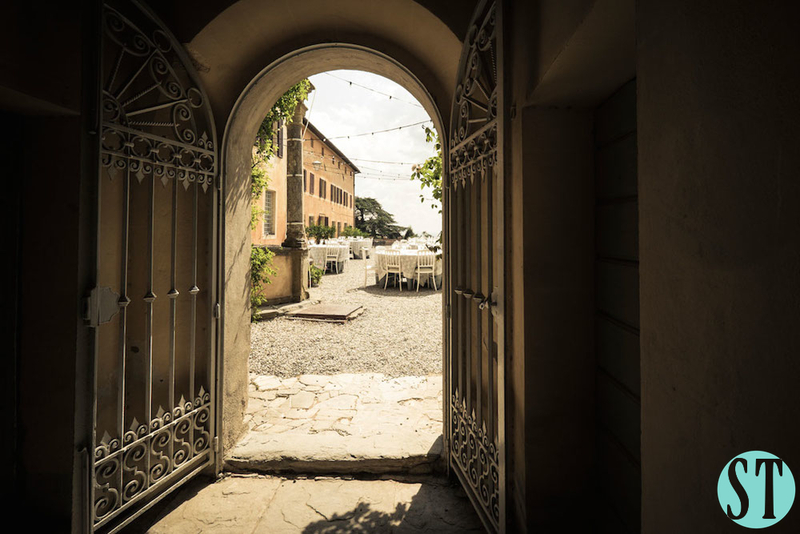 Starting from amazing wedding venues to incredible high-class Tuscan foods and wines, your experience will be unforgettable! Take this opportunity! 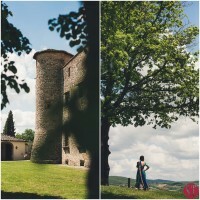 Enjoy this stunning Wedding in Chianti ! Located high on a hill between the provinces of Arezzo and Perugia, Cortona towers above the Chiana valley. This old town still has some enchanting Etruscan and Medieval spots that you will love to discover! 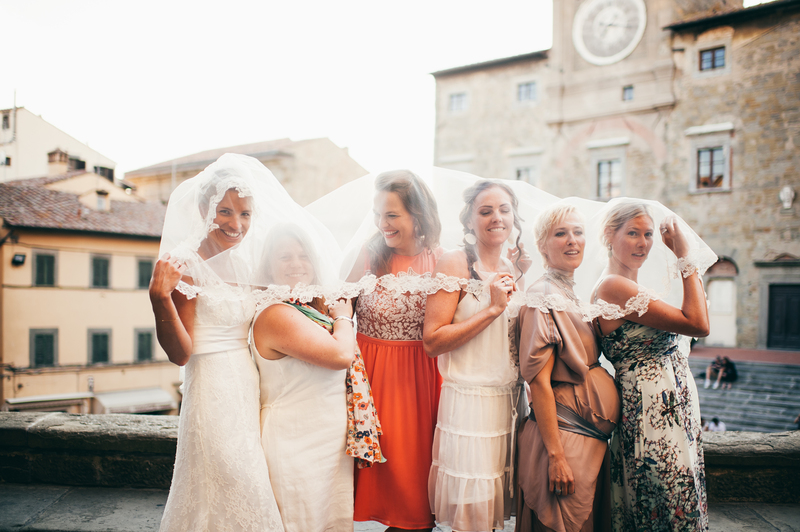 Getting married in Cortona offers you a number of ways to have fun with your guests. 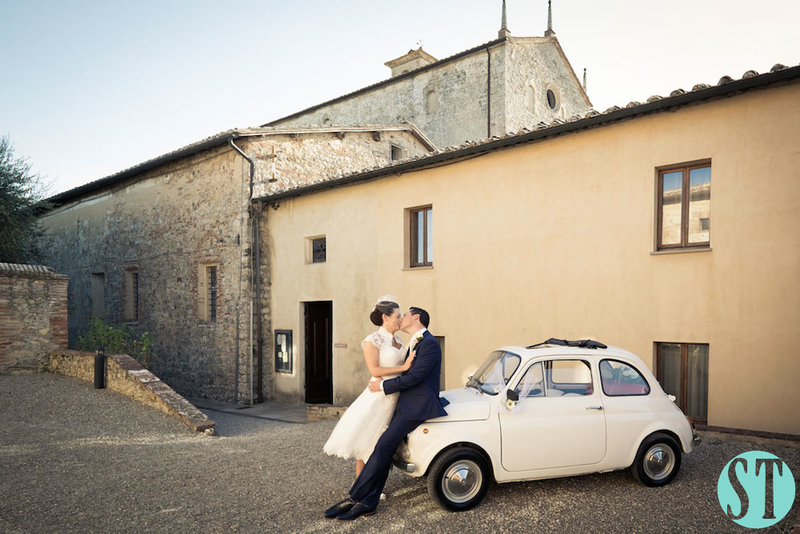 Driving your Fiat 500 car under the Tuscan sun you will have no problem reaching this town for a religious or civil ceremony and then head to one of our beautiful Tuscan wedding venue to celebrate! Ideal for symbolic blessings too!! 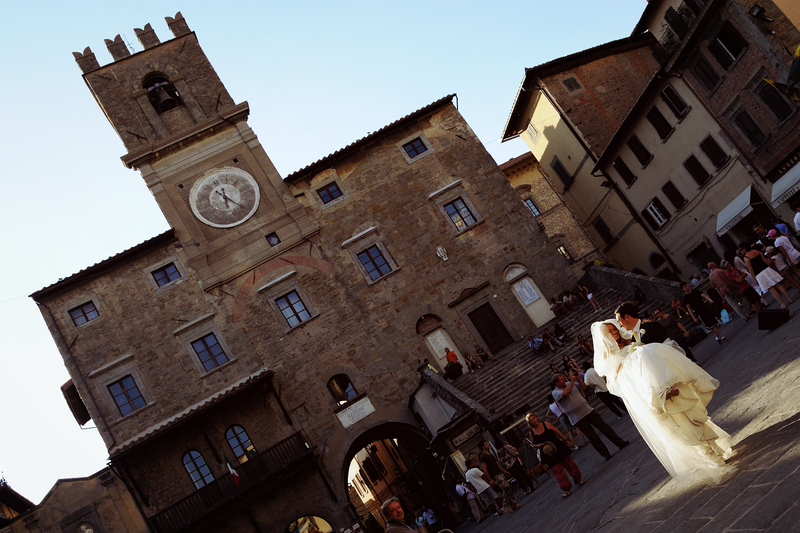 Cortona is the perfect place to enjoy the vivacity of Tuscan life and the calmness of the Tuscan nature. So, visiting this pedestrian city you’ll have the chance to see old buildings, tiny streets, typical workshops, trattoria and smart restaurant! The walls, the historic town hall and the many churches in this town are the best places to get proof of how long this town has been around. 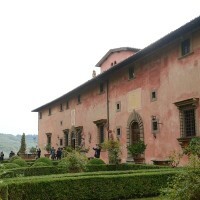 There are also plenty of museums, such as the Etruscan museum, the diocesan museum and the archaeological park. 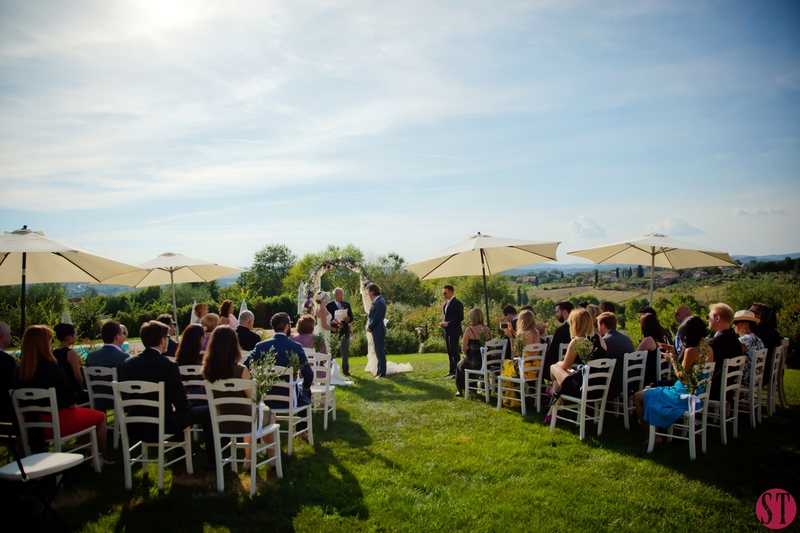 Your wedding in Cortona won’t just be a day of happiness and amazement, but it will be part of this lively town and its surrounding peaceful nature! Also entertainment is right behind the corner! 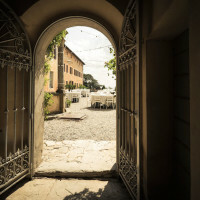 During the summer there are 2 great international festival: “Cortona on the move”, the international photography exhibition (from July to September) and the “Cortona Mix Festival” (July and August) dedicated to music but also books, interviews, theaters, cooking lessons and many other events! All this with the company of famous actors and artists! Movies like Benigni’s “Life is beautiful” and “Under the Tuscan sun” were shot in this beautiful town! 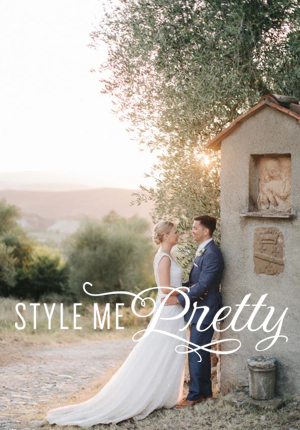 So make Cortona a part of your life (and of your Tuscan wedding day!) we’re sure you will love it as soon as you lay eyes on it! 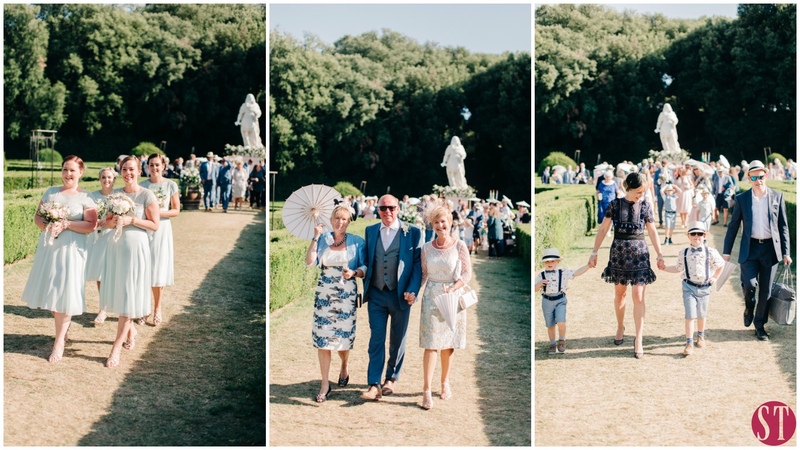 Walk along the tree-lined road and fall in love all over again on the beautiful terrace overlooking Chiana valley and the sparkling water of lake Trasimeno! 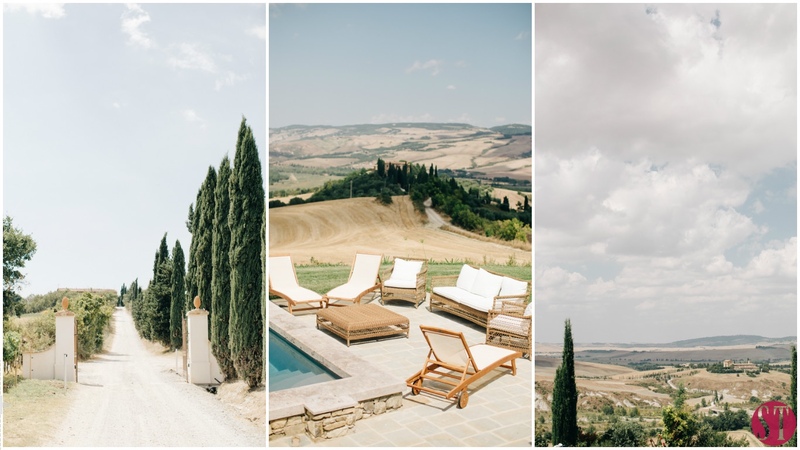 Get in touch with Super Tuscan Wedding Planners and these amazing spots will touch your heart and make your Tuscan Wedding in Cortona astonishing! 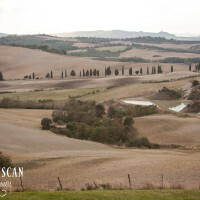 Val d’Orcia is a great valley right below Siena, in the south of Tuscany. Just like the neighbouring area of Chianti, Val d’Ocia is characterized by a vast flourishing countryside that has proof of it’s history throughout! The most important medieval and renaissance towns in the Val d’Orcia are Pienza, Montalcino, San Quirico d’Orcia and the small town of Bagno Vignoni. 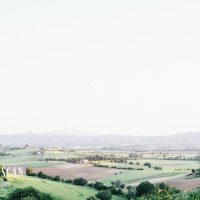 Just like in the Chianti area (north Siena), rows of cypress trees and rolling green fields will be the background of your journey in this land, but although there are a lot of similarities, the landscape here is more rural…maybe less touristy, but this may just make it even more fascinating! Here, you will get a real sense of the history as you travel through gentle nature on the way to discover ancient villages hidden just behind that last tree you see. 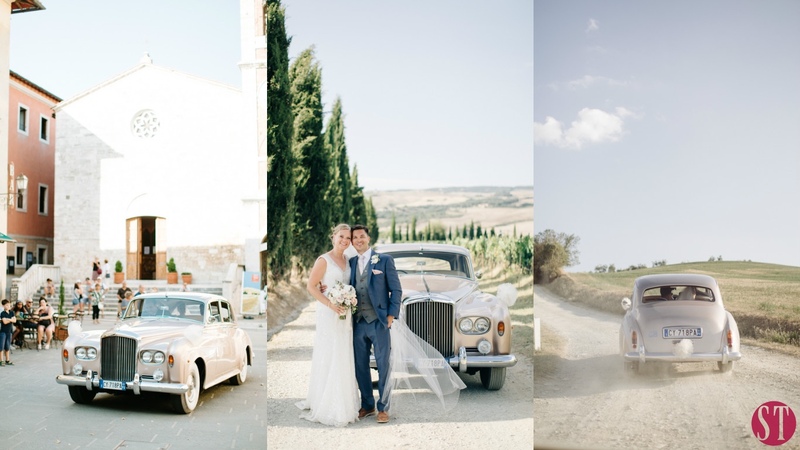 If you plan your wedding in Val d’Orcia, every landscape, town or tree will earn a place in your memories…images that will be fixed in your mind for a long time! Pienza is a small medieval city located atop a hill overlooking the valley. It’s very easy to visit this town: follow the cobblestone street and discover the beautiful terrace right behind the main church. From high atop the ancient walls of the town, a magnificent view on the Val d’Orcia opens up in front of your eyes. Pienza is very famous for its small shops that sell all kinds of genuine local products, especially sheep’s cheese! 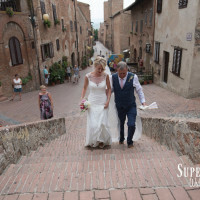 Try the “pecorino di Pienza” and have an aperitif with the local Rosso wine in the “vicolo dell’amore” (love street) with your bride or groom. 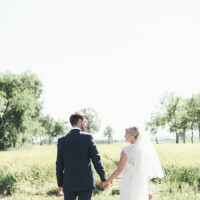 This is a very nice town to celebrate your wedding in Tuscany or at least to visit during your wedding journey through Tuscany. Montalcino is also a medieval village but it stands out most in this area because of its tasty red wine, the famous Brunello di Montalcino. 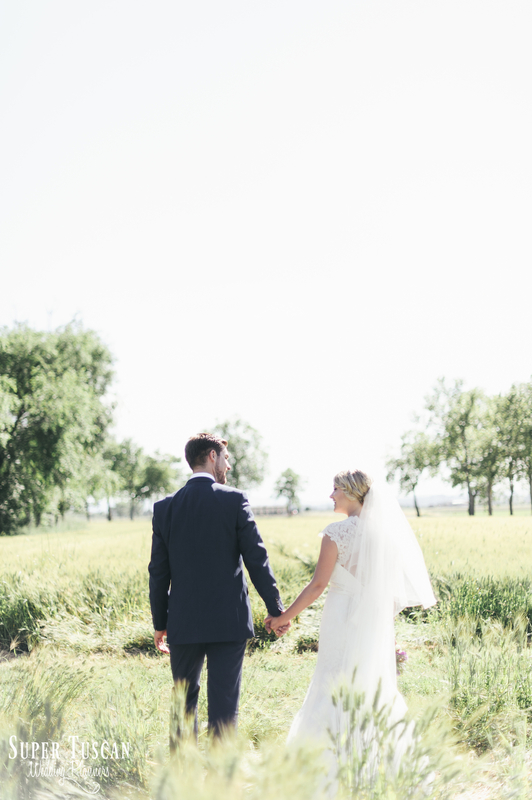 The intensive vineyard cultivations surrounding the town, welcome guests as they arrive and the lovely climate will guarantee an exquisite and exciting wedding stay in Tuscany! 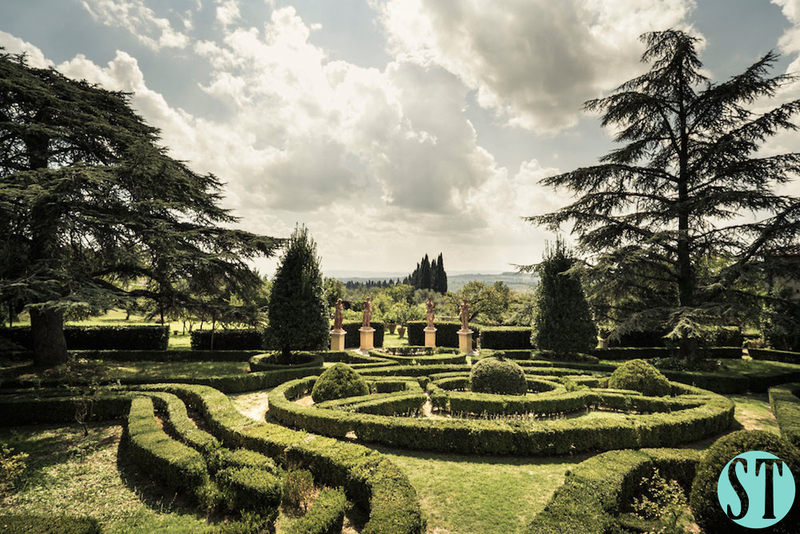 Val d’Orcia has a number of tiny villages you will come across on your way through the countryside, so make sure you also visit San Quirico, an ancient Etruscan town, with its Collegiata and the Horti Leonini gardens. Also make a a stop in Bagno Vignoni, a splendid small village with a castle on the mountain, the park of the mills and the ancient Roman thermal baths that are still functioning. 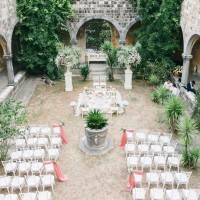 Celebrating your Tuscan wedding day in these small burgs guarantees that your celebration will be exclusive, that you will have high range customized services for you and your spouse in a relaxing natural setting! 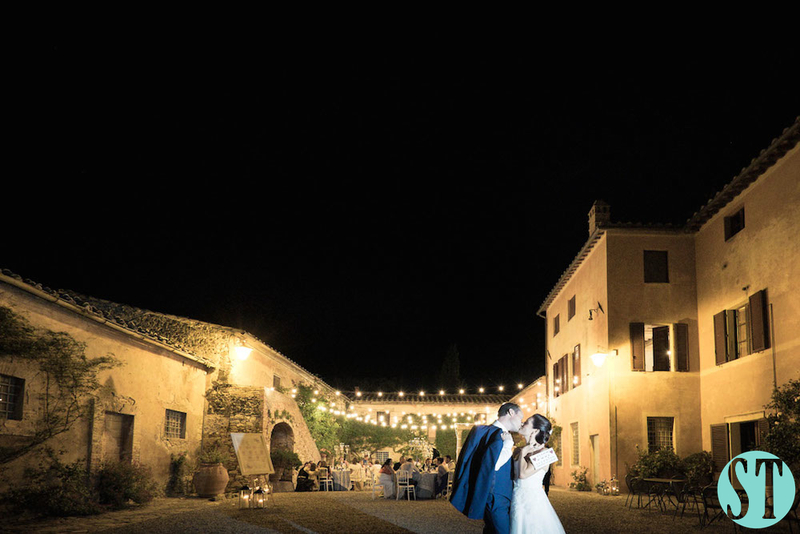 Val d’Orcia was also rewarded ‘world heritage’ by Unesco in 2004 and has inspired many Renaissance artists, so it could also inspire you during your romantic wedding in Val d’Orcia!! 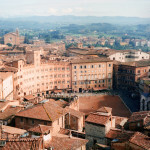 Montepulciano is a famous town situated on a high hill that towers over both the Val d’Orcia and Valdichiana. This town, completely hidden in the Tuscan countryside, is a real medieval jewel. Its origins date back to the Etruscan age in the IV century b.C. Nowadays the city is an agglomerate of redbrick buildings surrounded by cypress trees. The beauty of this city comes from the fact that many medieval and renaissance artists and architects left testimonies of their creativity in this place. In the surrounding areas, many wineries offer the chance to get a taste of their precious wines and stroll through their amazing vineyards. Whilst visiting the town center, many important spots can be seen, such as the clock tower and old stone facades, the magnificent main square called Piazza Grande. The square has been the set for some world famous movies (“The English Patient”, “Twilight”) due to its mystic beauty and the outstanding view of the Tuscan countryside. Places such as Palazzo Tarugi, Palazzo Avignonesi, Palazzo Cocconi, Palazzo Cervini, the famous Pozzo dei Grifi (Grifi well) and the town cathedral deserve all your attention! Even the “S” shape town walls dating back to the XIV century are an incredible sight to behold! 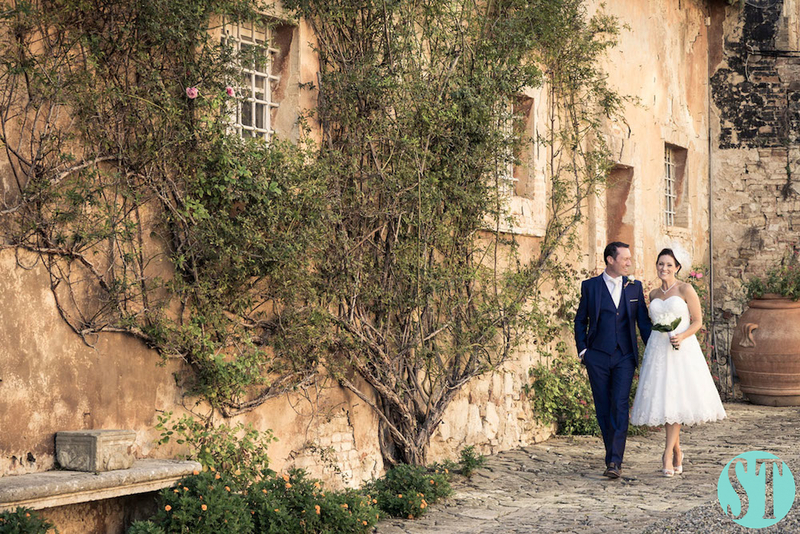 The town is the perfect elegant place for a wedding ceremony to take place, particularly in the old town hall where frescos and paintings decorate the amazing wedding hall. 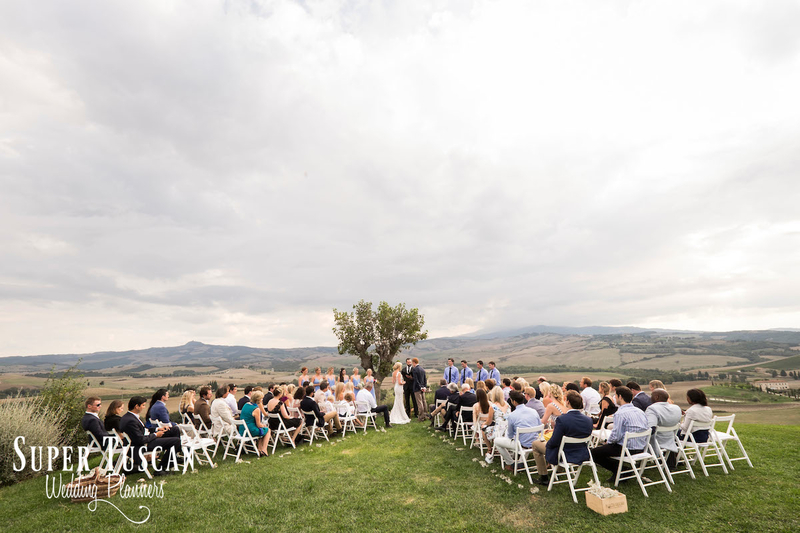 How about a string orchestra elegantly accompanying you and your spouse under the Loggia during your Tuscan wedding in Montepulciano! We personally suggest that you explore all the surrounding towns and countryside! 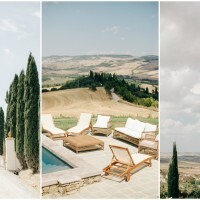 All Super Tuscan Wedding Planner’s spouses have experienced the uniqueness of a Tuscan wedding in these amazing sceneries! 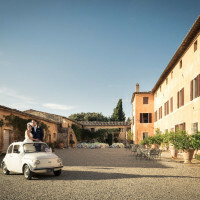 Create unforgettable memories of ancient castles, charming villas and old abbeys enriched by the perfect beauty of the Tuscan countryside, olive groves, cypress lined roads and scented vineyards. 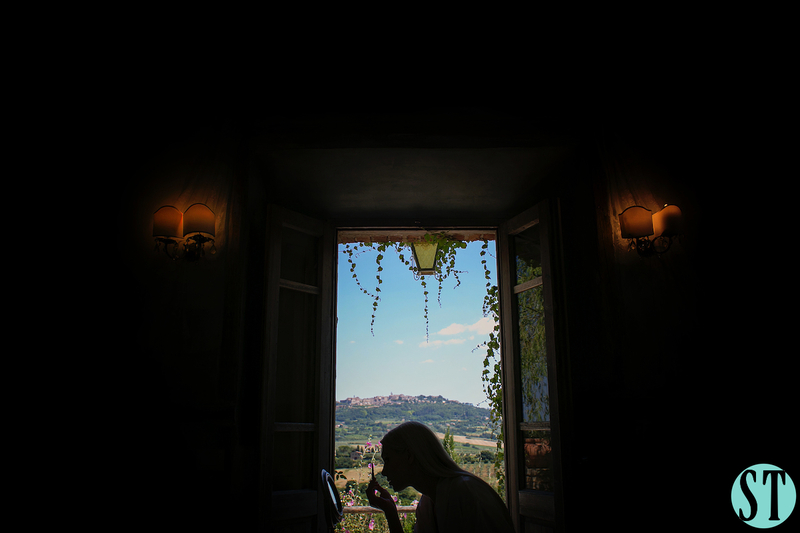 Take advantage of the spas in Montepulciano and get ready for the best day of your life with a little pampering! 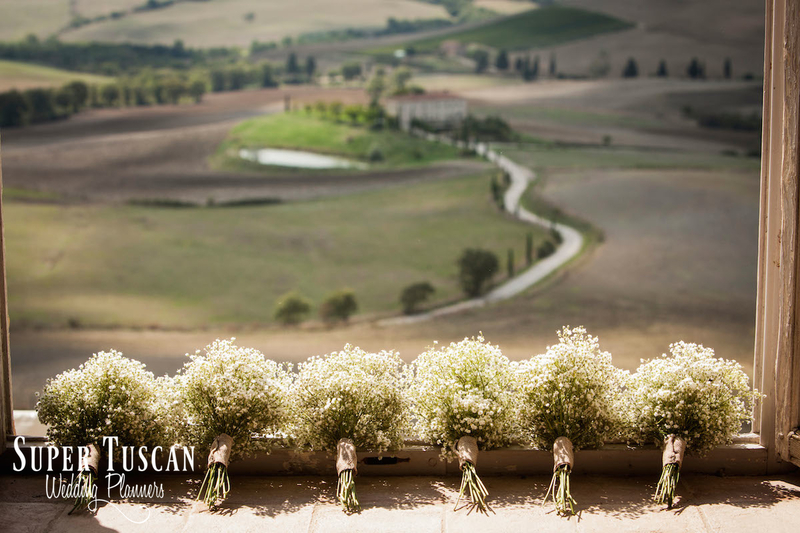 Then enjoy your wedding in Montepulciano and get lost in this beautiful relaxing landscape during your wedding in Tuscany with us! 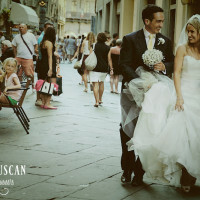 A wedding in Siena, or Sienna, is really amazing! This town, almost isolated from the rest of Tuscany, is still one of the most visited cities in Italy! Famous for its red square, piazza del Campo, where everybody can rest and catch some rays, this city has many other nice spots to see. If this weren’t the case, it wouldn’t have been named “world heritage” by Unesco! 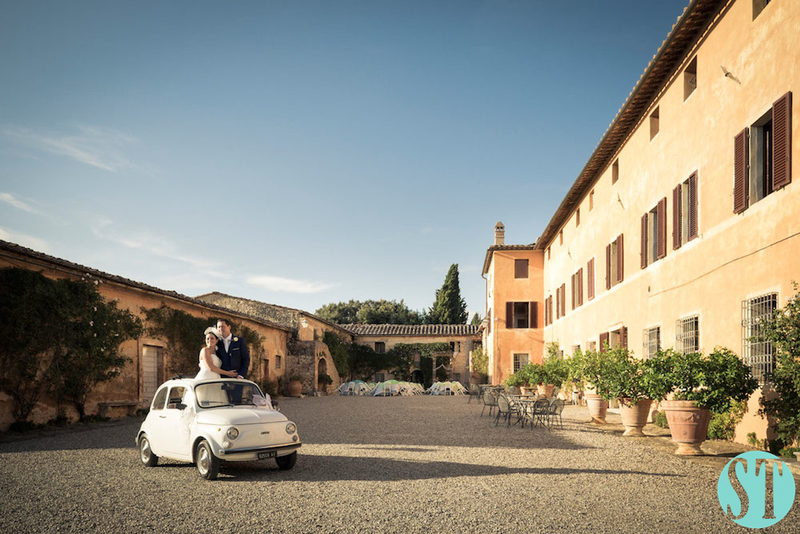 Tuscany is the ideal place to get married and your wedding in Siena will be absolutely amazing! Discover this lively pedestrian city! As you arrive in piazza Gramsci, you have a number of places you can choose to visit. The Medici fortress behind you, offers its visitors a nice walk above the city walls. It also houses the Enoteca Italiana (the “Italian Winery”), an elegant place to taste amazing wines, and a jazz music school that hosts concerts all year long. Then, getting back to piazza Gramsci, follow the main street through old buildings, antique statues and lots of history! Enjoy the beauty of Siena, a city full of life that offers its best at all hours of the day! Finding a nice typical Tuscan restaurant is very easy or otherwise there’s always some delicatessen right around the corner with fresh local products you can buy to take with you. Staying in Siena means you will feel like you are in a small village whilst you are really in a big town with everything you need in walking distance! The small streets, all pedestrian, the countless shops and the great number of local people and tourists will never bore you.Just off the main street, there are tons of accommodation options like elegant flats, Tuscan designed bed & breakfasts, luxurious hotels and whatever accommodation you might want, even a peaceful monastery right in the city centre! 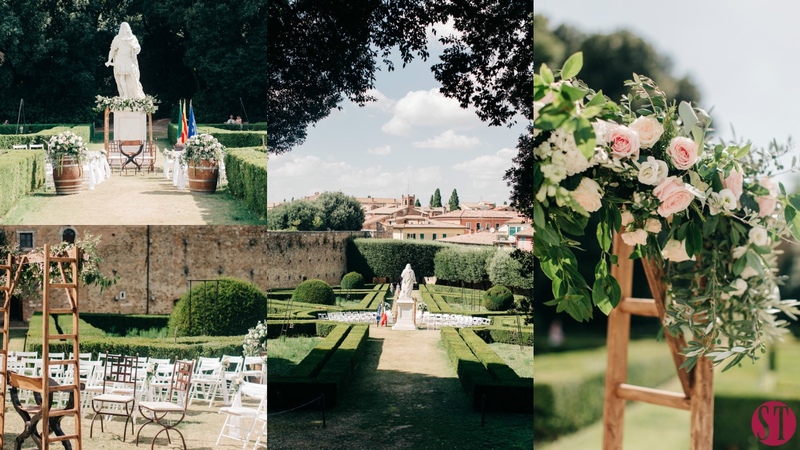 So once you’ve found your relaxing accommodation, set up everything for your wedding in Siena and become a part of this Tuscan city! On Thursday visit the big open market in the fortress, but also discover the old buildings in the center. The city bank, Monte dei Paschi di Siena, is the oldest surviving bank in the world and is located in Palazzo Salimbeni. Going on, you immediately find piazza del Campo, the red shell-shaped square where you will find many elegant bars that allow people to enjoy a relaxing moment drinking red wine and admiring the “campo” (literally field). You can even just lay down in the square and enjoy a laid-back moment with friends! But watch out for the Palio! This horse race was first organized in 1590 (after bullfighting was outlawed) and nowadays it attracts thousands of people! In July and August, the city changes its appearance and colored flags and banquets (to wish luck to the right horse!) appear all over the city, and all for a race that lasts about 90 seconds! That’s Italy for you…any occasion is a good excuse to celebrate with good food and wine! However, if you’re not too busy having a feast with the locals, make sure you visit Siena’s cathedral, the bell tower of Mangia, the church of the Saints Domenico and Caterina, the Gothic Palazzo Chigi that hosts the music conservatory, and the buildings of the University of Siena that was founded in 1240. 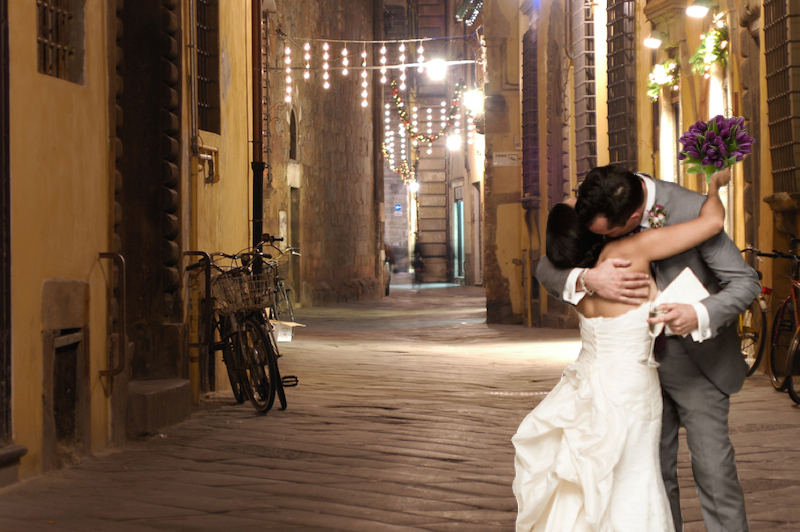 I think I’ve said too much, so come, get to know this amazing city and plan your wedding in Siena! 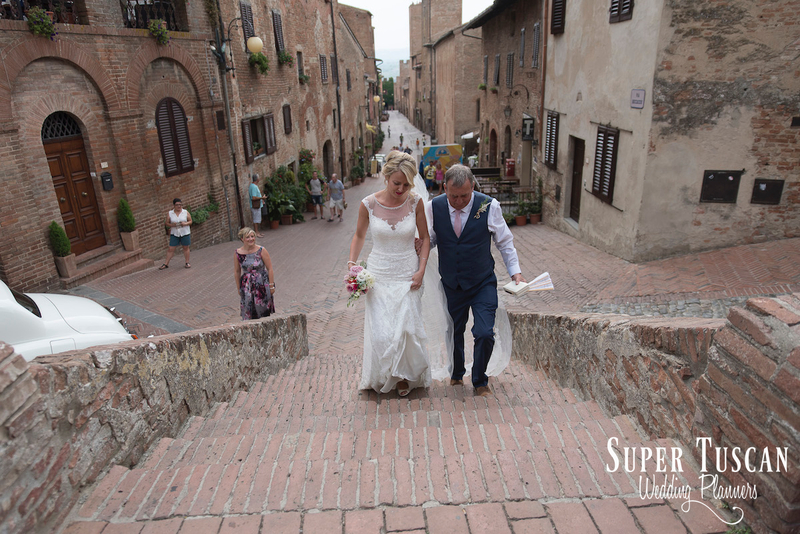 San Gimignano is a lovely place to visit and to get married in! It’s called “the burg of the towers” and it was rewarded “World Heritage Sites” by Unesco! 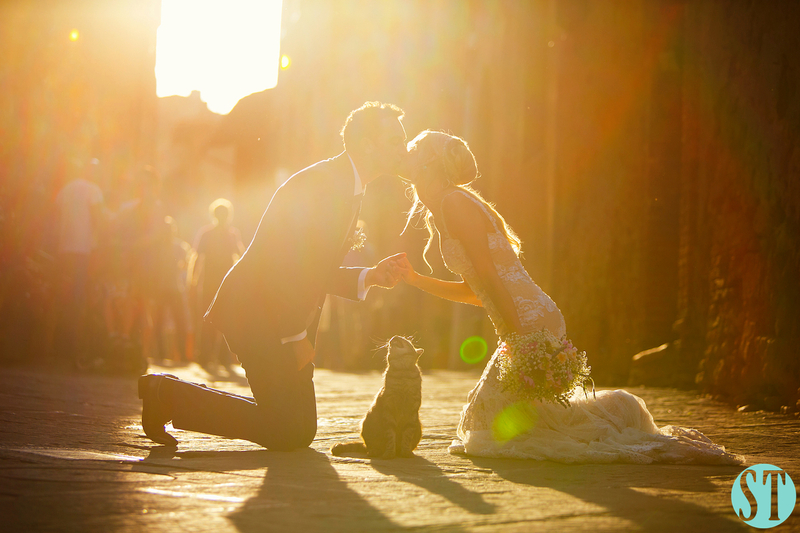 There must be a reason for this and you can discover while planning a wedding in San Gimignano. Located up on a hill surrounded by an amazing landscape, San Gimignano is famous all over the world for its innumerable towers as you see from its skyline, 14 towers to be precise, but they were much greater in number in the past..almost 70! When you arrive in town then, the centre is really characteristic with its beautiful medieval corners. Amazing will be wandering in its lovely authentic streets and stop in one of the many restaurants and cafés for a typical Tuscan meal and a tasty glass of wine. Places like Piazza della Cisterna and Piazza delle Erbe need to be visited. 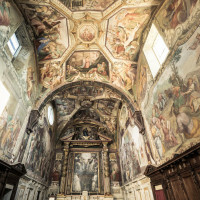 And never miss the Collegiata Church with beautiful frescoes about Saints’ lives or the Sant Agostino church, another pearl of the Renaissance art. Finally, we cannot forget it! We are in the famous Gallo Nero (Black roaster) area where the famous wine Chianti is produced! The homonymous valley Chianti is as well a place that offers you many possibilities to wander and get amazed!! So hope you will enjoy both of them, but one at a time! 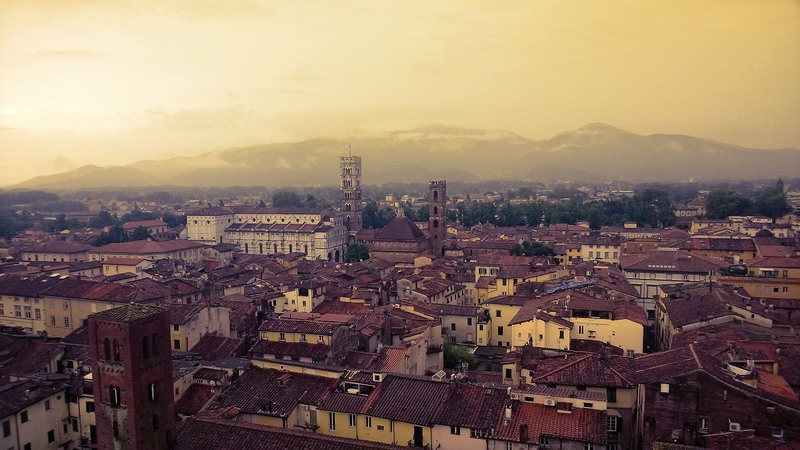 Lucca might not be one of the most renowned Tuscan cities, but believe me, it’s a real jewel! It’s small but it’s a very lively city! Discover the beauty of its tiny streets, look up to see the clock tower of Lucca and enjoy all the other old buildings of the city. During the summer many festival (pop music, opera and comics) are held in the town. There is something for everyone to enjoy and you’ll never regret coming here. 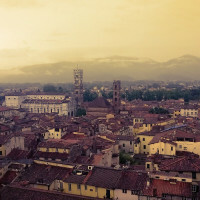 Located near Pisa, another nice Tuscan city where we also find the airport, Lucca is easy to reach in just a few times. But leaving this town also the Tuscan sea, mountains and the famous “5 terre” (named for the diversity of the landscape) are incredible places that you will be able to access easily. But let’s concentrate on this beautiful city! The town has varied origins. It was originally an Etruscan town, it became a Roman colony in 180 b.C. This is still visible in the street plan.. If you look at it, you’ll realize that Lucca has just parallel and perpendicular (like a grid!) streets so…even if you don’t know the city perfectly you will have a job getting lost! The Middle Ages however, have most characterized Lucca for example with the ancient walls all around the center or the old amphitheater in the square that bares the same name. 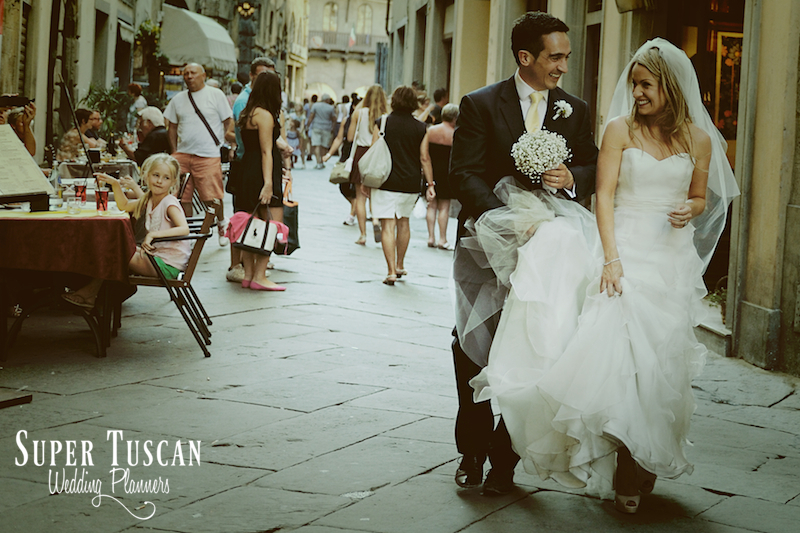 If you plan your wedding day in Lucca, you’ll experience all the charm of the city. 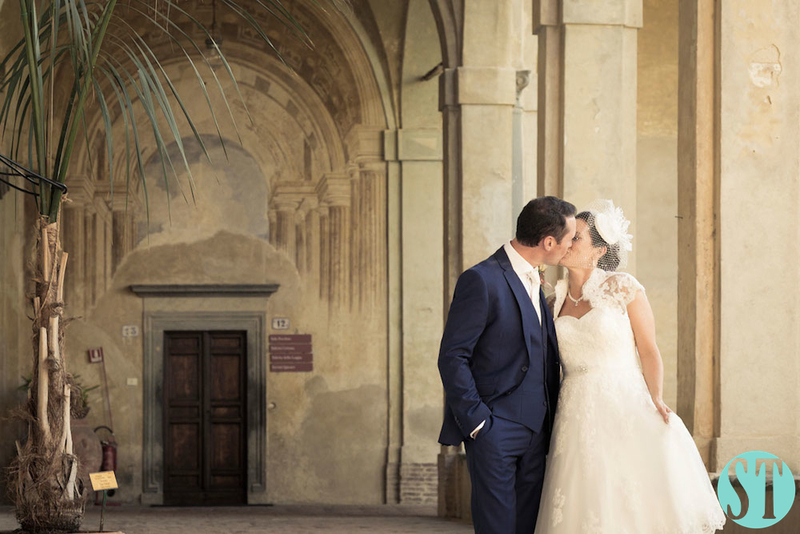 Think about a symbolic wedding ceremony in the most suggestive spots of Lucca or a civil ceremony in its town hall or a religious celebration in one of its many churches! 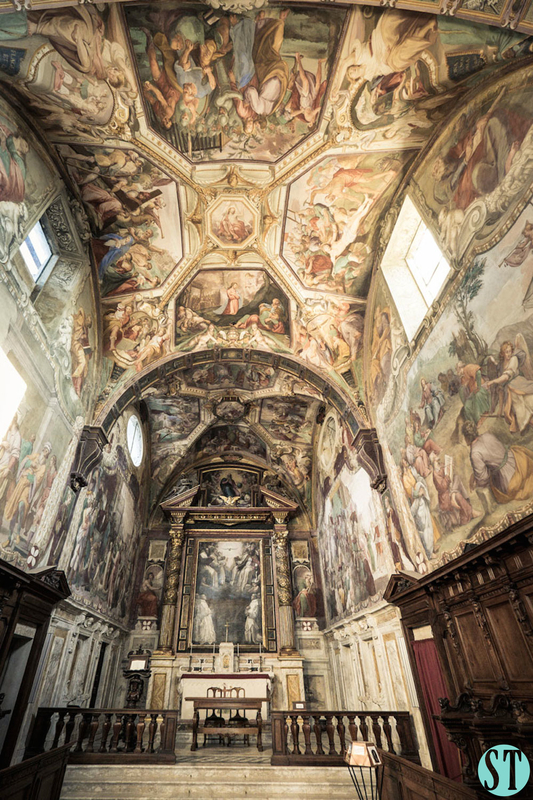 In Italy we have the biggest heritage for what concerns churches and ancient places to discover, so you will have no trouble finding what you expect! 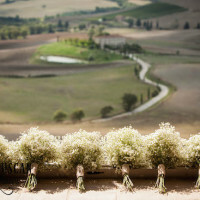 And we’ll do our best to get you everything you need to create your dreamy wedding day in Tuscany! 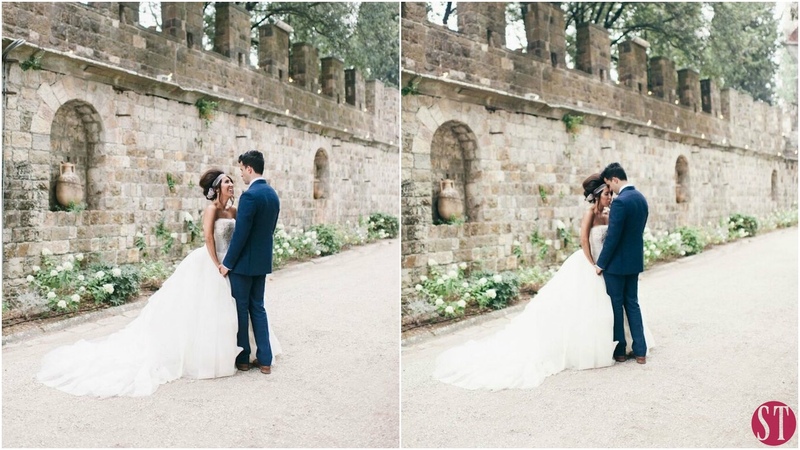 So after the ceremony, you and your spouse can go and enjoy the romantic promenade high upon the city walls all around the city! 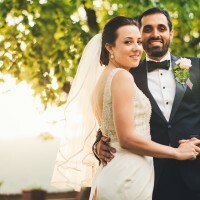 Capture all your romantic moments with your spouse in your wedding portfolio in a number of suggestive spot, like balcony decorated with flowers or a tree-lined walkway in the city park. You can also choose to have a romantic horse ride along the riverbanks or go for and visit the house of Puccini, the famous composer, or one of the famous villas in the surrounding area. 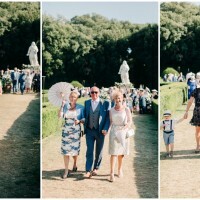 A wedding in Lucca can be an unforgettable experience..a small town that can reveal incredible spots where you can live a romantic and unique wedding day in Tuscany! 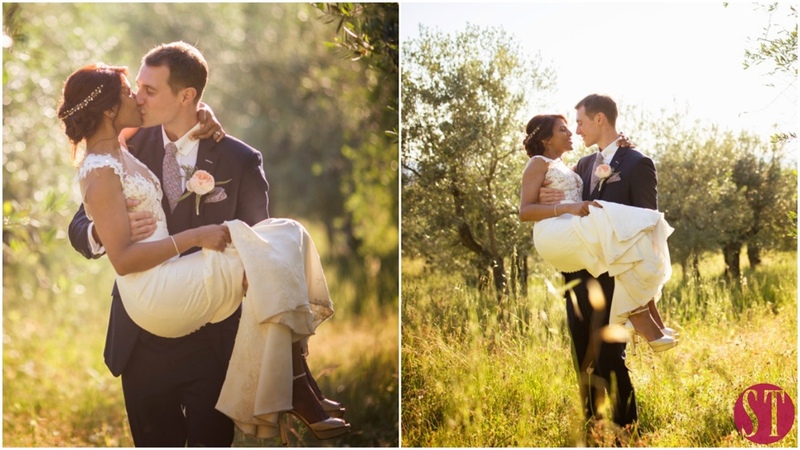 Getting married in Tuscany will be a wonderful experience! 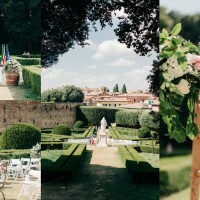 there are countless chances to be amazed and live a unique Italian style wedding day! 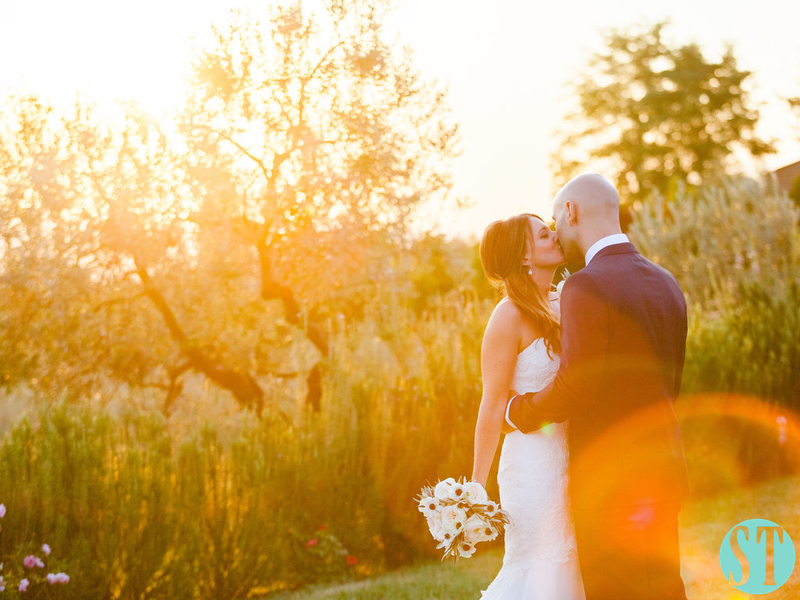 The best seaside wedding locations in Tuscany are within easy reach, just a 3 hour drive from Rome airport or less than 1 hour from the Tuscan airports of Pisa or Florence! So discover Tuscany, a land that is more than just Florence, Siena, Lucca or places offering amazing views of the countryside like Cortona or the Chianti area… Tuscany is also a wild seaside area ready to be discovered! Start with the beautiful pristine spots on the Northern shores of the region, the famous Versilia area, passing through the Etruscan coast (so called because of its ancient inhabitants) and end up in the southern and greenest part of the Tuscan shore,the Maremma area. 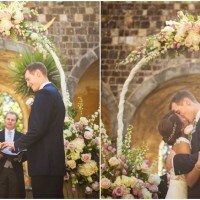 But don’t worry, if you’re uncertain about where you’d like to say “I do”, we’re here to tempt you with our suggestions! 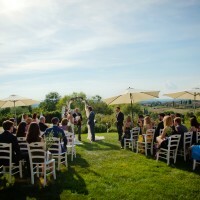 Alfresco weddings and Wedding Location For Any Ceremony! 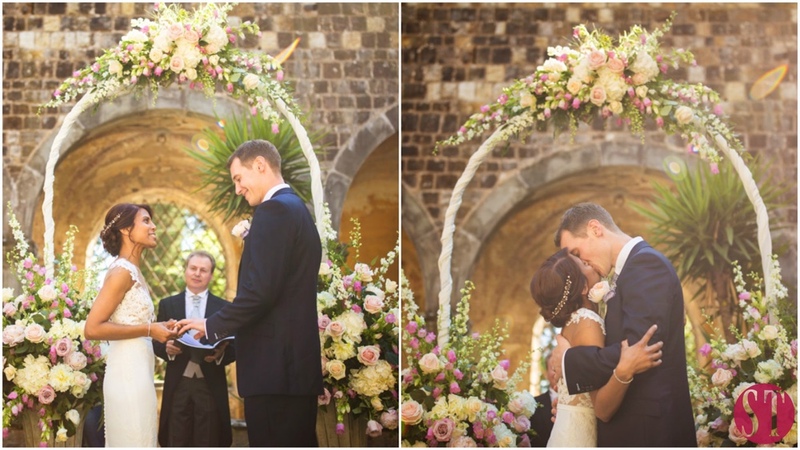 Be it a civil, religious or symbolic ceremony we have the perfect location for you! 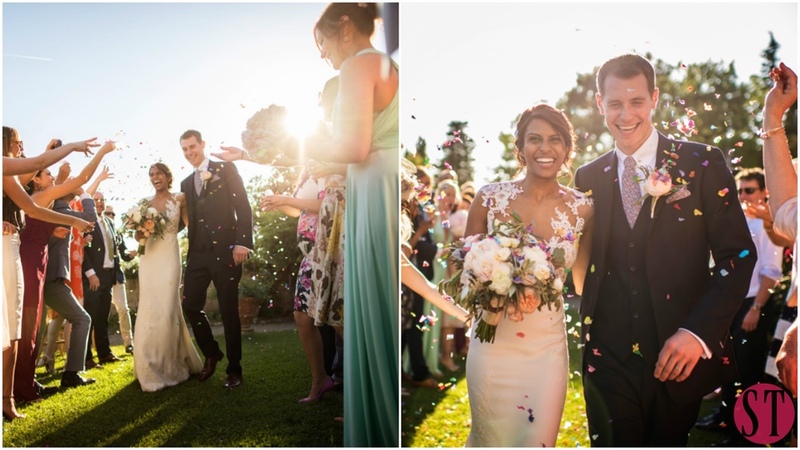 Alfresco weddings and much more …take a look! 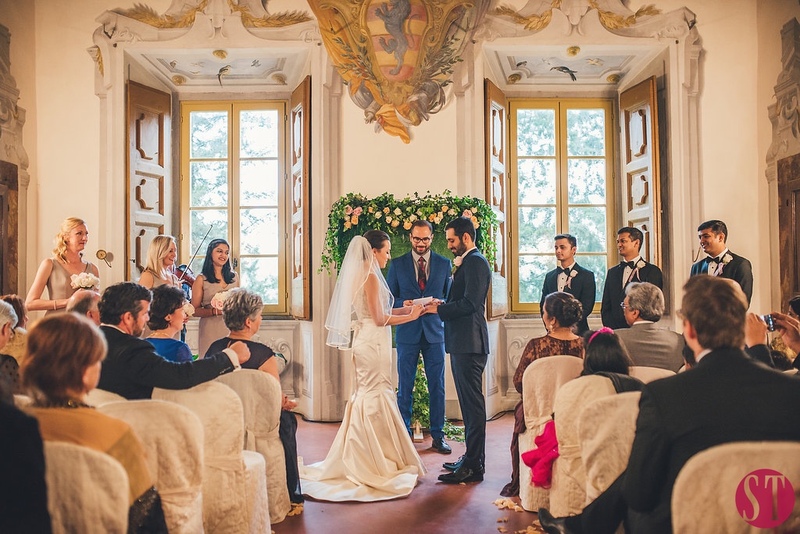 If you want to plan a civil wedding ceremony in Tuscany, we suggest the beautiful town hall of Viareggio in the Versilia area. Viareggio is a really easy town to live in and you and your guests can enjoy it completely during the entire wedding day. Then, along the Etruscan coast the town halls of Rosignano Marittimo and its neighbour Castiglioncello are wonderful! These two towns became really famous in the 60’s because many film stars used to come here for their summer holiday in Tuscany. Among them, Marcello Mastroianni and Alberto Sordi! Moreover, in the area, the famous movie “Il Sorpasso” (“The Easy Life”) with Vittorio Gassman, Catherine Spaak and Jean Louis Trintignant was shot in 1962. These towns are old and you can still get a sense of that classic atmosphere! Finally, for those of you who want to visit the Elba Island, the town hall of Capoliveri offers a more modern design, but the landscape is still rural.Ask for more! 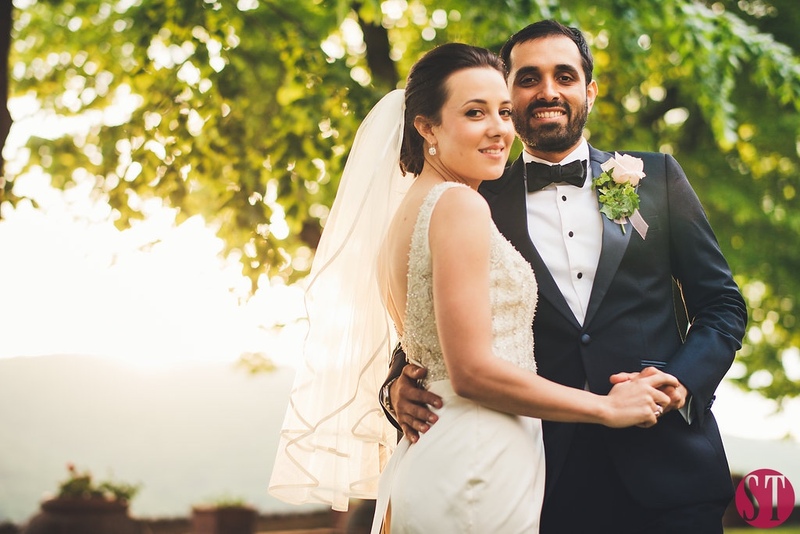 If you instead, you choose a religious wedding ceremony, you will find churches everywhere that are suitable both for catholic wedding ceremonies or other celebrations! You may want to take a look at the Badia di San Pietro, a really nice church near the town center of Camaiore (in Versilia). In the neighborhood, in Brancoli, the Pieve di San Giorgio is also a good option. Built before 1000 AD, the façade is made with big marble blocks in a romantic style and a typical Tuscan massive campanile. 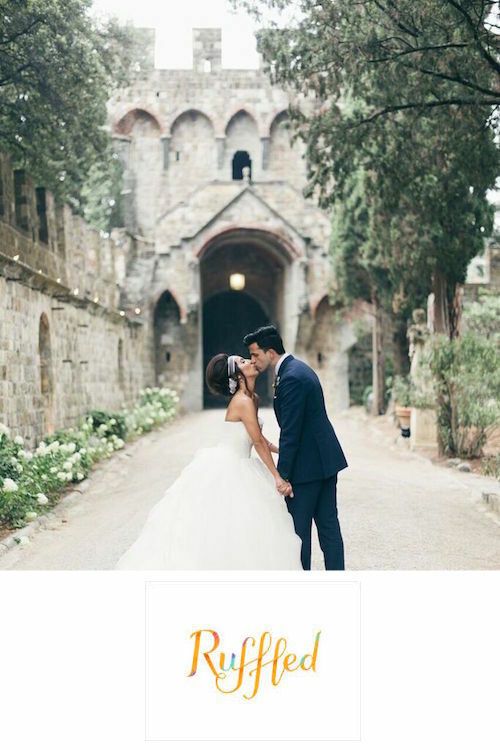 Also in the Castiglioncello area, the Church of the Immacolata Concezione and Church of Sant’Andrea are beautiful places to celebrate your wedding in Italy. In Livorno we suggest the Cathedral right at the center of the town and the beautiful Santuario di Montenero where it is possible to admire the skyline, Mediterranean Sea included! On the Elba Island are even more rural places, kept alive by the few remaining inhabitants like farmers and fishermen. As everything seemed connected to divine forces like the soil, the sea and the weather, many places of worship arose. Here is possible to choose the Church of the Misericordia, the Cathedral of Portoferraio, the Sanctuary of the Madonna del Monte and the Sanctuary of Monserrato. Ask for more! 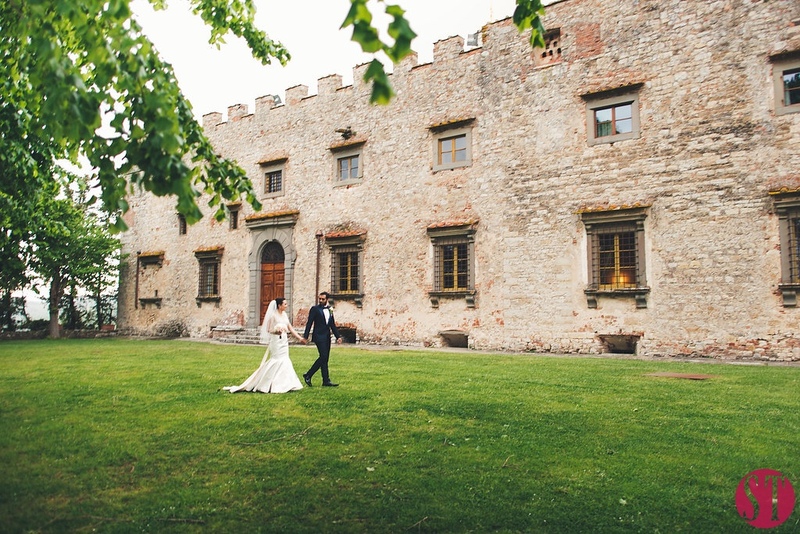 Finally, if you plan to organize a symbolic wedding ceremony in Tuscany, the region offers a great number of luxury resorts and typical Tuscan venues for your wedding event. 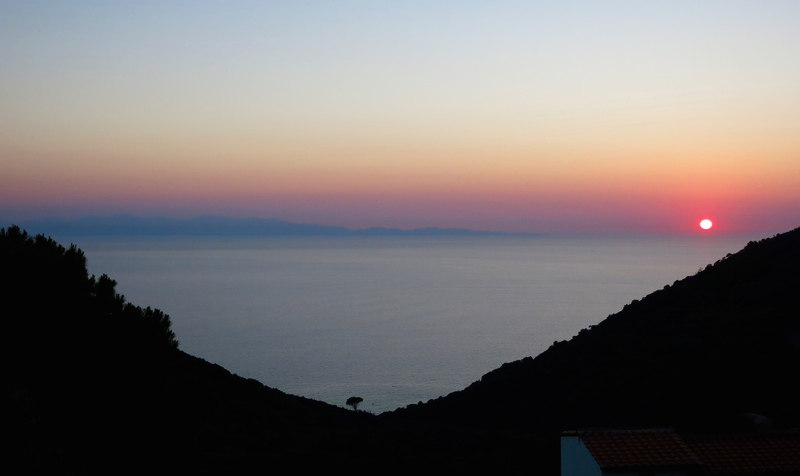 You will also be able to choose from the most beautiful beaches, gardens, pine groves and even cliff sides! 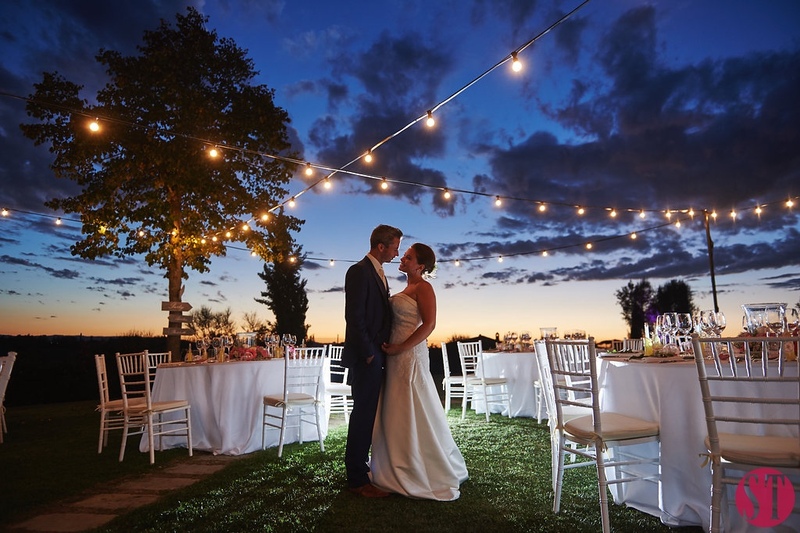 See the Tuscan wedding seaside destinations and locations we have already selected for you or suggest yours, we’ll do our best to make your dreams come true! Ask for more! 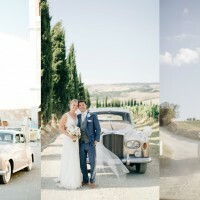 Tuscany Seaside Weddings: Best Beaches Ever! Now read about the most beautiful beaches along the Tuscan coast! 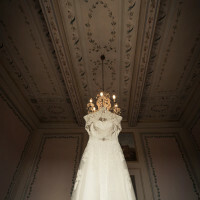 The best Italian locations not only for Tuscan wedding ceremonies, but also for the best wedding parties! Cecina (province of Livorno) is located right between the blue sea and the green countryside along the Etruscan coast. The location is famous not only for its beautiful sea, but also for being a very attractive place for tourism: shops and accomodation are almost everywhere! Follonica (province of Grosseto) is the most famous town in the Maremma area. It has kilometres of beaches! Many are free but if you prefer to be more comfortable, many beach facilities like loungers and parasols are easy to find! The most famous eastern beaches are: Cala Violina, Cala Civette that is the wildest one, and Cala del Barbiere. To the west are the Carbonifera beach and the area of the Torre Mozza, a Saracen tower built directly by the sea. Punta Ala, Rocchette and its municipality Castiglion della Pescaia (province of Grosseto) are very famous places, too. Punta Ala is 20 km north of Castiglion della Pescaia and Rocchette is in the middle. These three places are very different from each other. Punta Ala was awarded with the highest rate from a national guide for its seaside places; it has a beautiful harbor but its historical parts are also worth a visit: the Hidalgo tower, the old castle and the Appiani tower, now abandoned, for example! Rocchette has the cleanest sea of the Maremma. Its littoral zone is free of facilities but the wild look and the red cliffs makes it even more fascinating! A journey into pure natural wilderness. Castiglion della Pescaia (down South) also has its own small harbor and an old castle that is worth a visit during the summer nights. It is more touristy but also easy to walk around! Talamone (province of Grosseto) is a small sailors’ hamlet surrounded by the Maremma national park and the Argentario Mountain, a promontory immersed in the Mediterranean Sea! 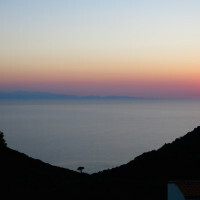 Talamone is the ideal place for sailing activities. Here, thanks to the protected park area, it’s possible to see deer, roe deer, wild boar, foxes and many other typical Tuscan wild animals running freely in the green. The Argentario Mountain (province of Grosseto) also has beautiful beaches. Search for images and you’ll discover clear-blue sea and peaceful places to live! The main towns in the area are Porto Santo Stefano and Porto Ercole. Originally born as an island, winds and currents have modified its appearance over time. Two tiny stretches of land have connected the island to the mainland creating the Orbetello lagoon: the Giannella and the Feniglia beaches. These two are beautiful white sand beaches respectively 7 and 8 km long! Orbetello (province of Grosseto) has won four awards for its beautiful sea. A WWF oasis is also in this area because of the yearly migration of thousands of birds in its skies! Finally, for those of you that wish to visit our Elba Island, I suggest you visit the Paolina beach, a very quiet pebble and sand beach that can only be reached on foot (after a long walk) or by boat from Procchio harbour, if you prefer! Paolina was Napoleon’s sister who lived on the island during his exile so you can always take some time and visit the house! Frugoso is another splendid beach on this island. It’s tiny but has a lot to offer! You are guaranteed great facilities so that you can relax during your journey! 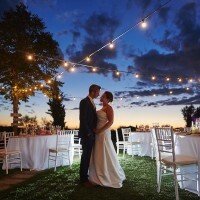 Tuscany Seaside Weddings: Catering For Any Taste! And never forget to make sure that you and your guests enjoy the finest food and the best wines Italy has to offer! 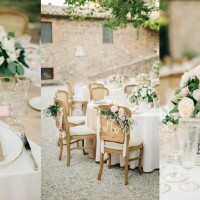 Many villas offer catering services with great chefs, in case this service is not available, Super Tuscan Wedding Planners will find the best catering services in the area! 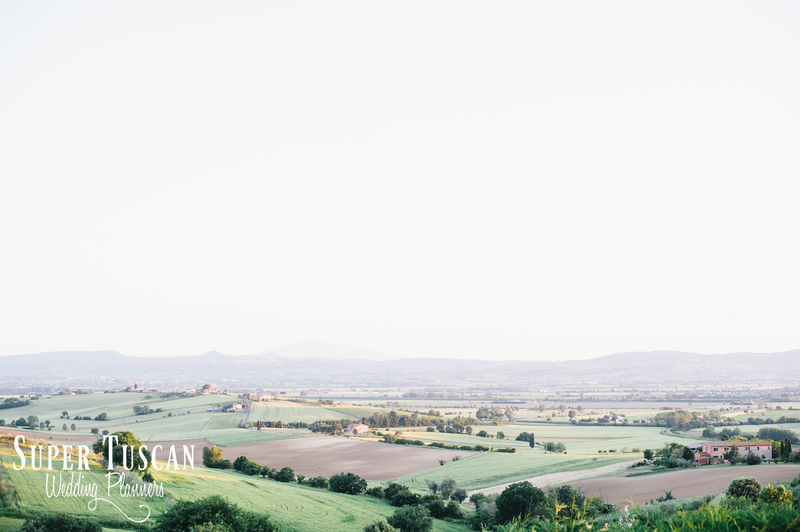 In addition, we suggest you choose to have a fish menu if you’re getting married along the Tuscan coasts as this guarantees that you will get the most fresh Italian products ever! Many typical Tuscan meat meals are available as well, just decide what you would like to taste! Finally, Tuscany offers great nightlife entertainment! Versilia is the best place to find entertainment in Tuscany. Many famous people spend their summer here enjoying its beaches during the day and going to discos at night! Coffee shops, nightclubs, ice-cream parlors, wine shops and pubs give you innumerable possibilities to have fun with your spouse and your guests! Just think…a bride&groom decided to get married “on the road”! We planned an itinerary in the chosen wedding destination so they made toasts all day through the town center with their wedding dresses on! 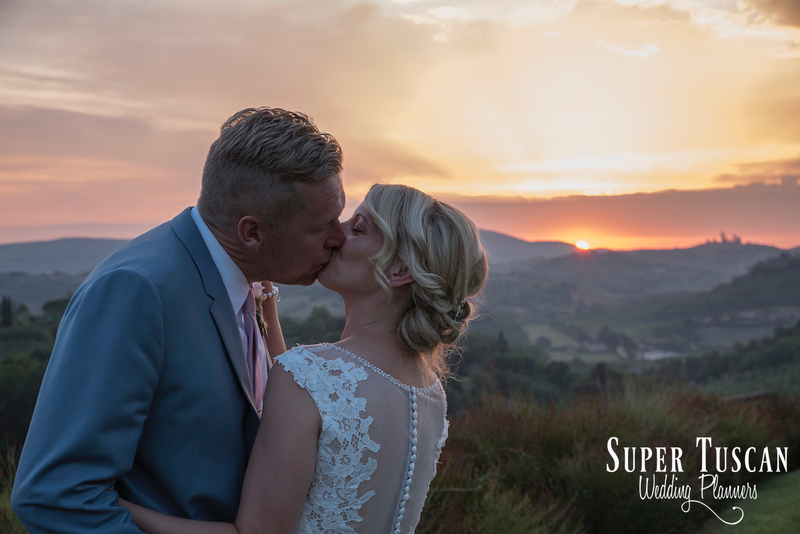 If you like, Super Tuscan Wedding Planners will plan your entertainment based journey, in the best Tuscan wedding nightlife destinations, pubs and nightclubs! 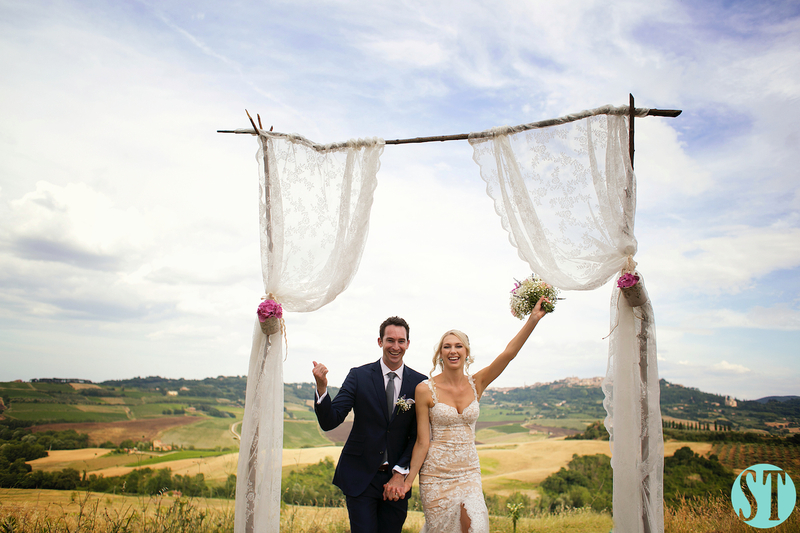 Tuscany Seaside Weddings : Sport Activities! 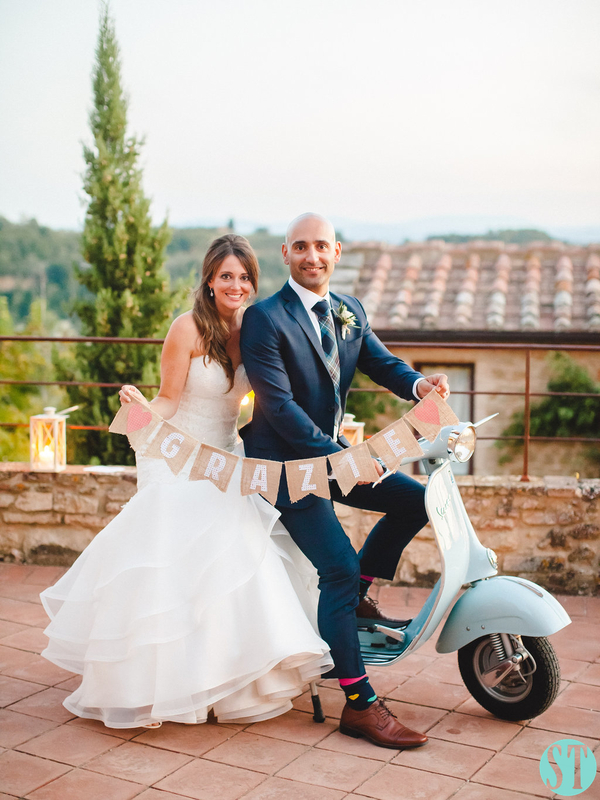 Want to stay fit even during your wedding journey through Italy? Don’t worry! There are many modern gyms as well as facilities for playing tennis, football, golf, swimming and many others. The Maremma area, well renown for its greenery, is also famous for horse-back riding but of course, there are riding stables all along the Tuscany coasts! Choose whatever place you fall in love with, and we’ll make all these services at your disposal! Every detail will be studied to guarantee the best experience, may it be a touristic tour along the wild rocky coast or a beauty salon treatment. 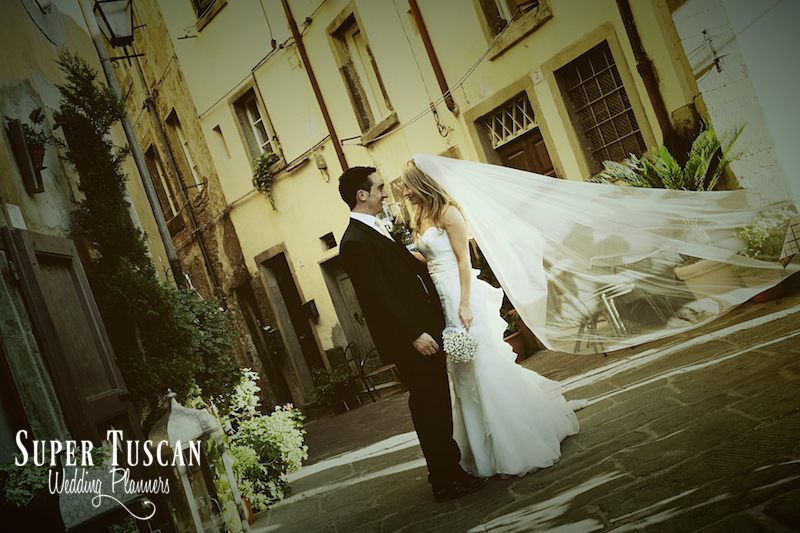 Ask for our professional services, yours will be the most effortless and unforgettable Tuscan wedding day! 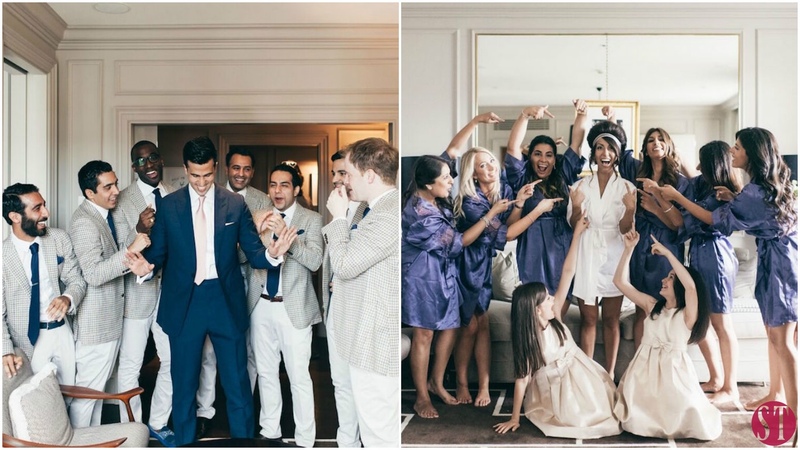 And you’ll be the happiest bride and groom ever! Really easy, isn’t it? We customize every experience and turn any dream into reality… so Ask STWP for more suggestions! 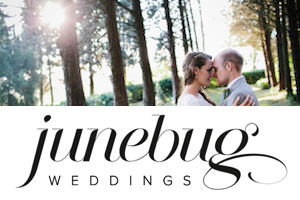 Have a look at the weddings we have organized along the Tuscan coasts: Tuscan Wedding at the Seaside Ask for a visit in this wonderful area! 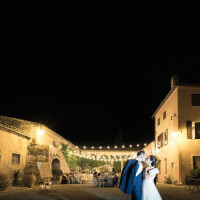 Discover the green heart of Italy and create the smartest Italian wedding in Umbria with Super Tuscan Wedding Planners. 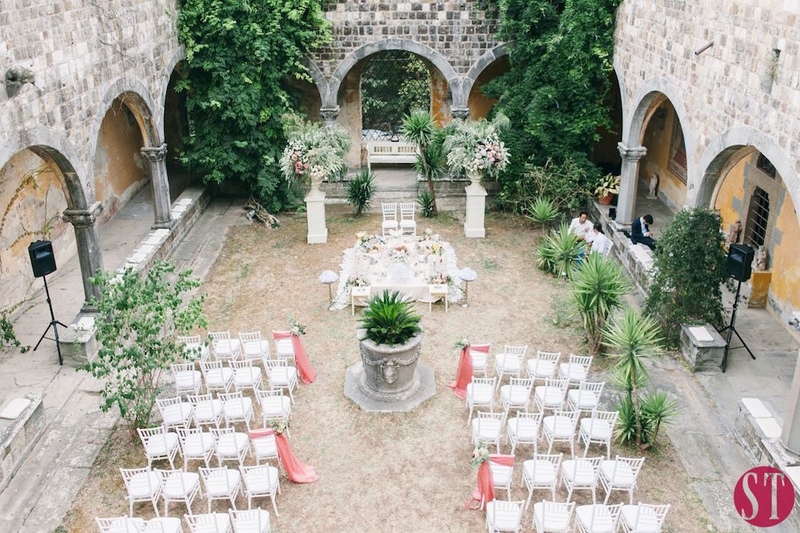 How should an Italian wedding be? Simply yours! 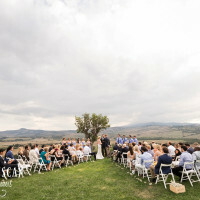 Ask Super Tuscan Wedding Planners! 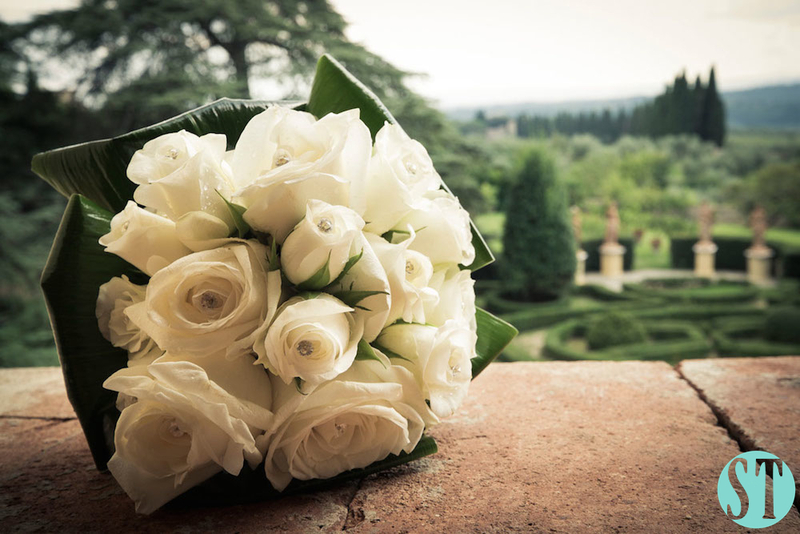 Fall in love with us on the Italian Riviera and have the most romantic wedding with your Italian Riviera wedding planners! 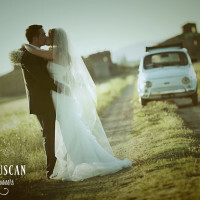 by Super Tuscan Wedding Planners. Looking for something unique? 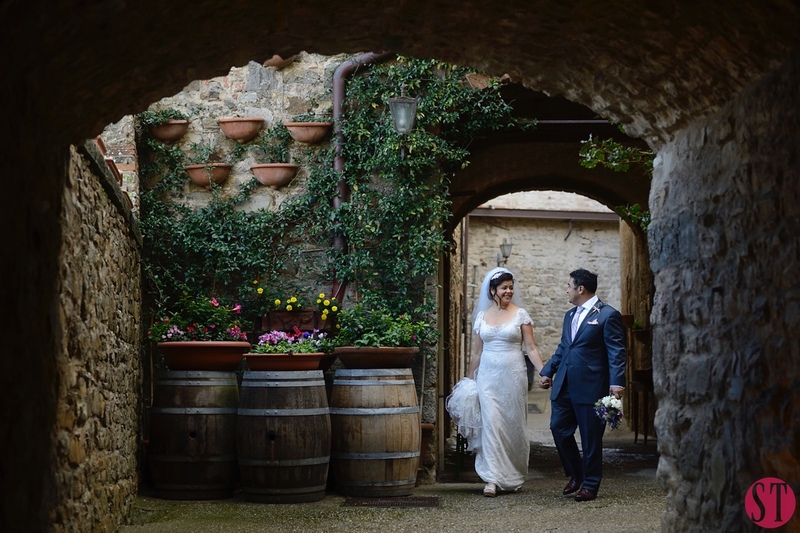 Ask for an unforgettable Italian wedding to your Super Tuscan Wedding Planners! 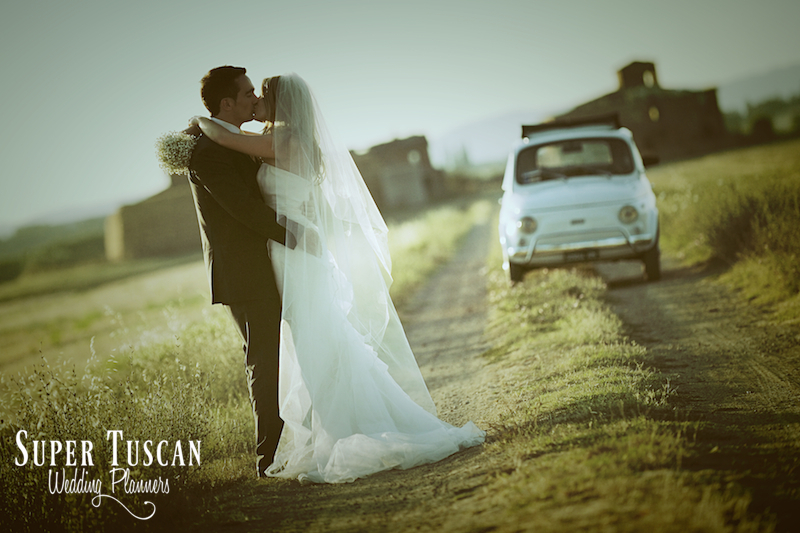 Romantic, unique, charming, just yours.. this is the way we plan your Tuscan wedding with us. 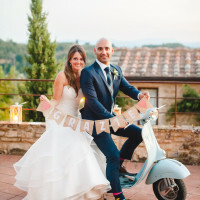 Contact your Super Tuscan Wedding Planners!